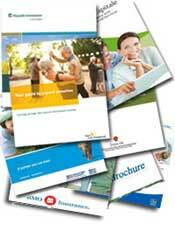 Financial security is one of the biggest concerns for retirees nearing the age of retirement. In fact, it is only surpassed by healthcare. Needless to say, people are seeking ways to protect their savings so their money doesn’t run out before they pass away. 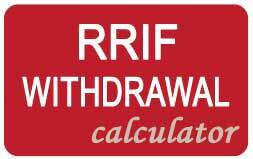 However, the recent economic downfall has shown that the financial markets are not to be relied on, especially when you are not going to receive any further income once you retire. This makes stocks and other investment classes unsuitable. 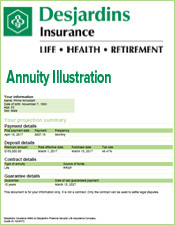 So, if you are worried that your money will run out after retirement, you should consider buying an annuity. 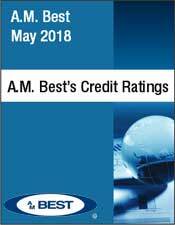 Unfortunately, there are no guarantees as far as the financial industry is concerned. The economy is recovering, but who knows when another slump may be on the horizon. 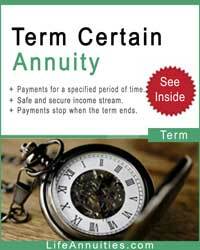 Therefore, smart people want to be guaranteed that their money will stay with them for the duration of their life after retirement; that is what they can get with an annuity. 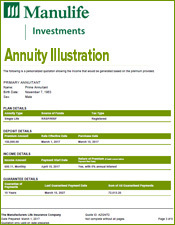 Though people are familiar with annuities, they don’t have a clear idea of what they offer in the long-term. 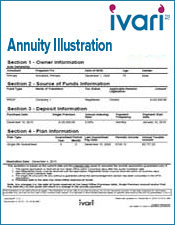 At its core, a life annuity is a binding contract between an insurance company and the person who purchases it. 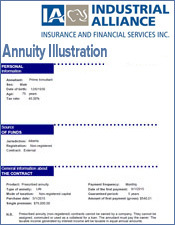 The contract states that the company will continue making regular payments to the holder of the annuity policy for a certain number of years or till the time they pass away. 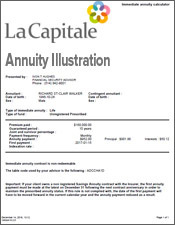 The buyer is required to make a payment to the company when purchasing the annuity against which the company will continue making regular payments. 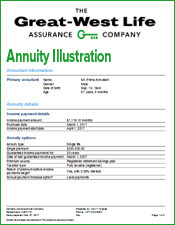 Since the annuity is purchased from an insurance company, it is backed by the company’s assets and whether you are investing a small or large amount in the annuity, you can rest secure in the knowledge that your money is safe. 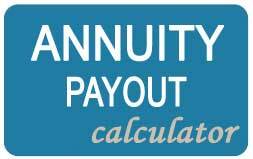 The reason annuity companies are able to guarantee that they will keep making payments to you over the course of your life is due to government regulation as well as conserative investing. 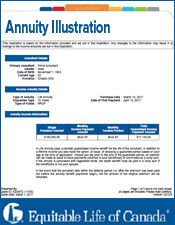 There are 2 basic types of life annuities that you can purchase. Each one has specific terms and conditions. 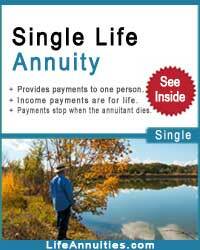 Regardless of the one you opt for, you are assured a monthly income for life. The payments are guaranteed by the company, so there is no question of you running out of money during your lifetime. 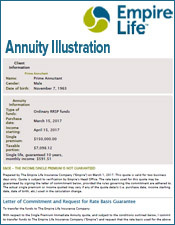 Even if you live for several decades after retiring, the contract states that the annuity company will continue to make payments to you. 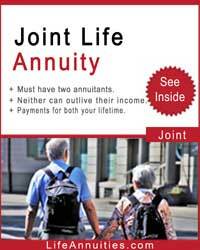 You can also opt for a joint annuity with a guaranteed period. 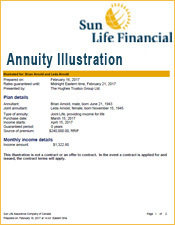 In this case, your spouse will continue receiving payments from the annuity provider after you pass away. 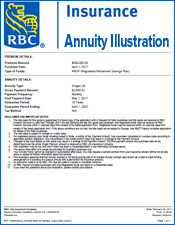 The payments are guaranteed to not only benefit you but also your family. 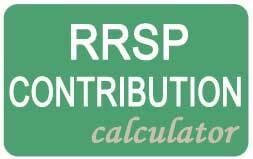 This way, you make certain that your spouse will have a monthly income to support the current lifestyle you are leading. 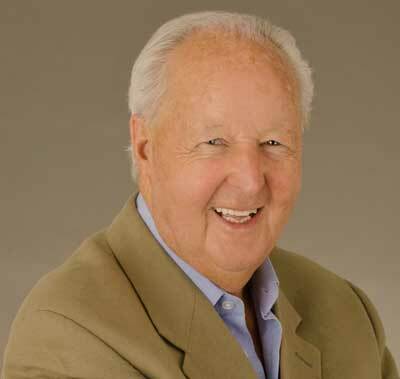 However, this is secondary to the main concern which is running out of money after retirement. 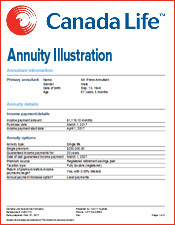 In Canada, a life annuity is the only financial product that guarantees you an income for life. 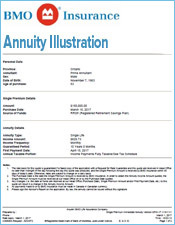 You can explore the other options available to you; some that may offer a higher rate of return, but none of them will ensure that you don’t run out of money like an annuity.